Are they ur fav couples ever? seguinte to them which other GG couple do you ship? Who had the best amor scenes? So I amor Gossip Girl as I am sure all of you do! But I was disappointed in the season finale..I mean come on Chair & Derena make the show..w/o them I wouldnt watch! So I was kinda peeved when they dividido, dividir up Derena and are leavin us hangin with Chair..seriously!!!! I don't think Chuck will cheat on Blair..at least I hope not!! & HOPEFULLY Serena wont get with Nate and Dan wont get with Vanessa..but I guess we will have to see...anyways just wanted to know ur opinion on the subject! a comment was made to the poll: Who Do You Like Better? a poll foi adicionado: favorito Wedding Scene? a pop quiz question foi adicionado: True or false: Blair and Chuck are a couple in this photo? 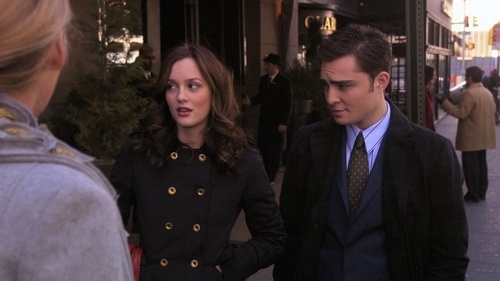 True or false: Blair and Chuck are a couple in this photo?